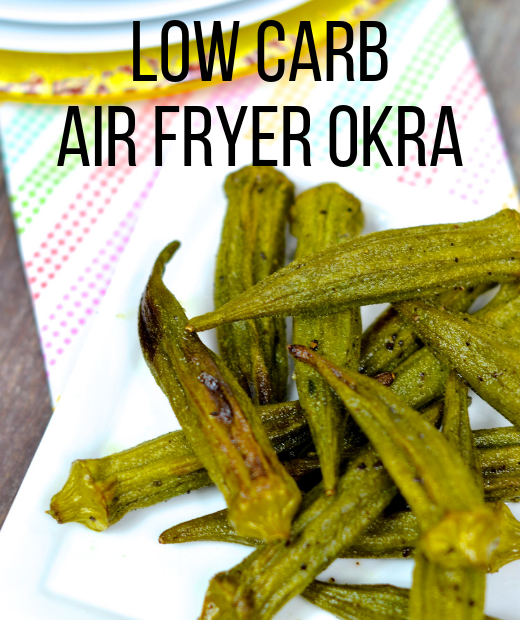 You won’t believe the simple ingredients in this low carb air fryer okra. No air fryer? No worries! I give you the simple steps on how to roast okra in the oven. Question Time: Who loves okra? You love okra or you hate okra. I happen to love okra – I love okra raw, I love okra roasted, I love okra in dishes, and I love okra in gumbo! It’s safe to say, I have ZERO hate for okra. His quote makes a ton of sense and while okra is considered a vegetable, it is often used to thicken soups and stews. And yes, if okra is cooked wrong (mainly overcooked), we can have a slimy mess. However, don’t run away from this vegetable just because you witnessed an overcooked okra dish at the local community center. It’s time to take okra to the Skinny Louisiana drawing board. 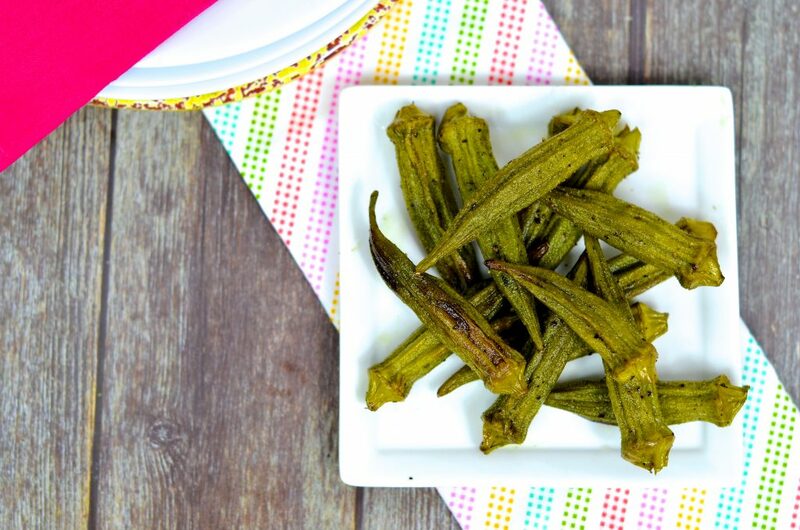 I had a few challenges – I had to make sure I did not overcook okra (hello slime) and I had to give it a bit a BOLD flavor. After researching all my okra recipes, the easiest way to bring okra into your family, who may have a bit of a slime fear, is to roast. 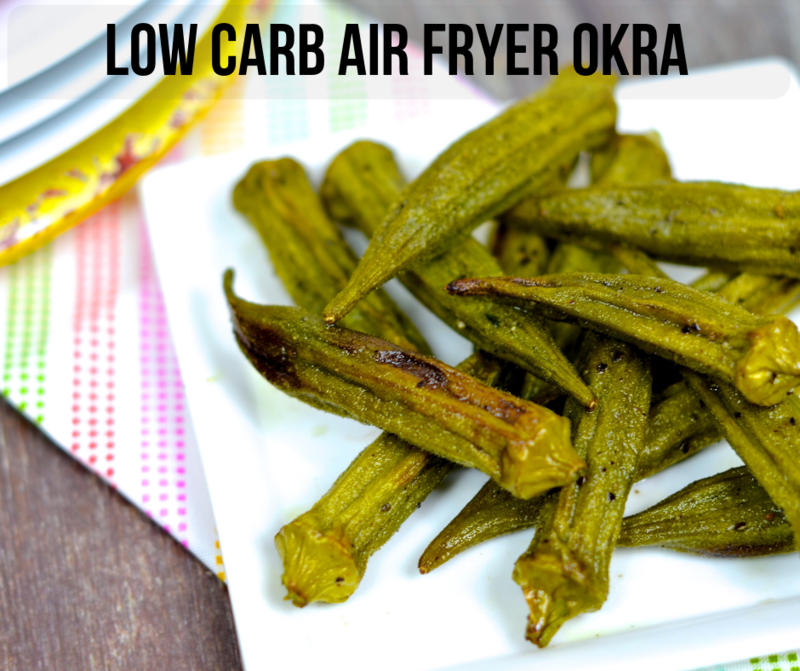 With a few simple changes, I was able to take okra to the Air Fryer AND in the oven. The result is a yummy veggie dish the entire family will love. Looking for more Air Fryer recipes? Check out my Low Carb Air Fryer Dill Pickles. While already a low carb item, we use olive oil for heart healthy purposes. Don’t forget about this low net carb winner!!!! A half of cup serving of okra is only 20 calories and 3.5g of carbs. The best part – we are looking at 1.6 grams of fiber, giving us a little over 1 net carb per 1/2 cup serving! Mixing bowl (or clear bowl), measuring spoons (2), and tongs. WASH your okra. Blot dry. Toss okra, olive oil, and seasoning. 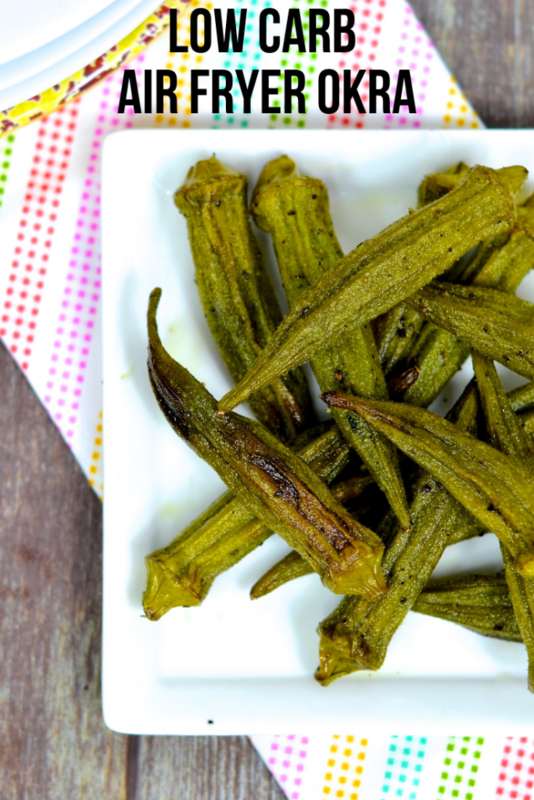 Using tongs, layer okra in the Air Fryer. Because this okra or not breaded, you can layer the okra on top of each other. Cook at 390 for 10-15 minutes. I highly recommend checking at 8 minutes and shake the basket. Cook till your level of crispiness. Line pan with non stick aluminum foil. Line okra in pan. Bake for 15 minutes. 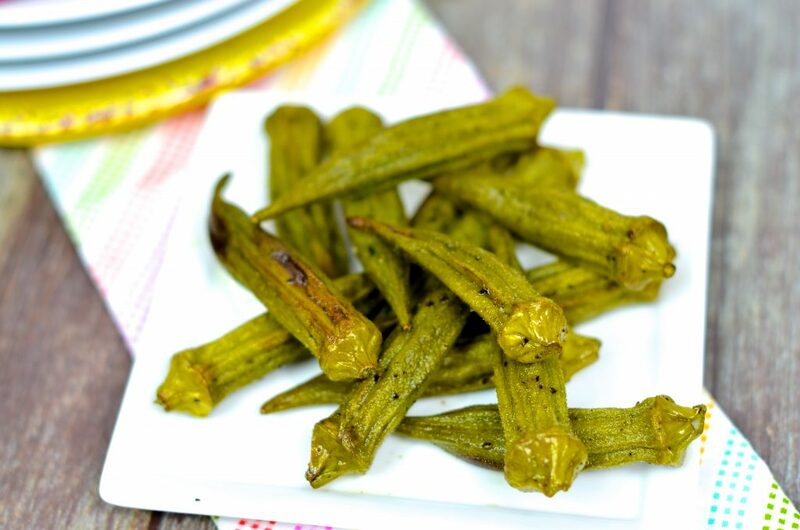 Layer okra in Air Fryer Basket. Cook at 390 for 10-14 minutes, checking at 8 minutes. After 8 minutes, cook to your level of crispness. Preheat oven to 425. Line baking sheet with non stick aluminum foil. In a medium bowl, combine okra, olive oil, and Tony’s. Line baking sheet with okra. Nutrition Facts per Serving (using ½ pound): Calories: 35. Fat: 1.5g. Cholesterol: 0mg. Sodium: 200mg. Carbs: 6g. Fiber: 2g. Sugars: 1g. Protein: 1 g.